Your carpet is one of your home's biggest investments! In order to protect it and keep it looking like new, regular cleaning is required. You've heard the saying "An ounce of prevention is worth a pound of cure," and that goes for the well being of your carpets too. 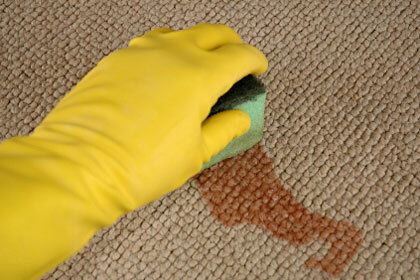 The best way to keep your carpets clean is to make sure they don't get dirty in the first place. How do you do that? Place mats outside of doors that lead into carpeted areas. Encourage people to take their shoes off before entering the room. Carpets should be vacuumed at least once a week, more if you have children or pets. Heavy traffic areas should also be vacuumed more frequently. 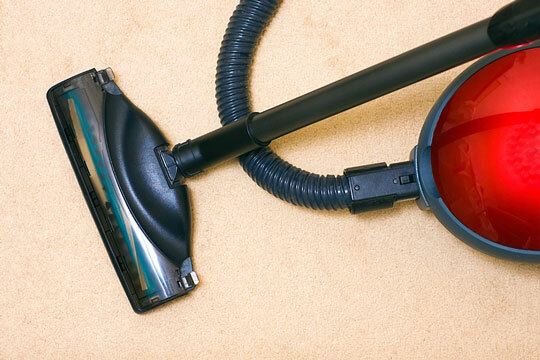 Without frequent vacuuming, dirt and grime build up in your carpet and scratch and cut the fibers. 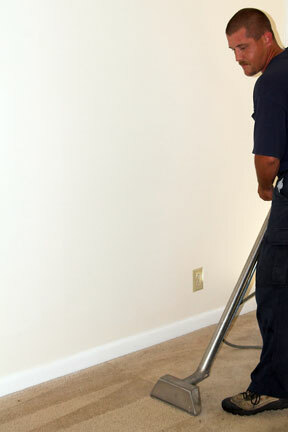 Eventually, no matter how clean your carpets are, they will take on a worn, dull appearance. Be sure to use your crevice tool every time you vacuum your carpets, to clean hard-to-reach places like baseboards and radiators. No matter how careful you are, your carpet is bound to experience its share of spills. If you don't want the spills to turn into permanent stains, it's important to clean them up right away. A fresh spill is much easier to remove than one that has set. To remove a stain, scrape or blot the area. Apply a residential or commercial carpet cleaning solution, making sure that the cleaner you choose is compatible with your carpet material. If you are unsure, test the solution on a small portion of your carpet that can't be easily seen. The Carpet and Rug Institute tests carpet cleaning products, and their blue and green Seal of Approval identifies effective carpet cleaning solutions and equipment. About once a year, you should shampoo your carpets. You can rent the machinery from your local hardware store or home improvement center and tackle this job yourself, or you can hire a professional service to do it for you. Either way, the goal is to remove embedded dirt, stains, and odors. Remember, a clean carpet changes the whole feel of your home! Clean your carpets regularly, and protect your expensive investment. For more information about residential and commercial carpet cleaning, visit Woolite, which offers a line of carpet cleaning products for the home, and Diversey, which offers commercial carpet cleaning products. This carpet cleaning directory lists carpet cleaning equipment and supplies retailers throughout the USA.